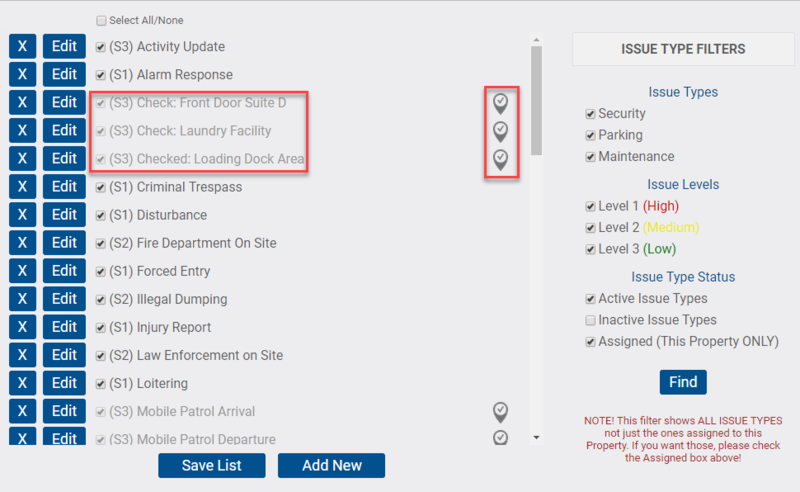 In this Article we will go over how to Assign Issue Types to a Property from your existing master list of issue types in the Silvertrac system. NOTE:The list of Issues Types to choose from is a compilation of all the recommended issue types provided by Silvertrac and the issue types that have been manually added. 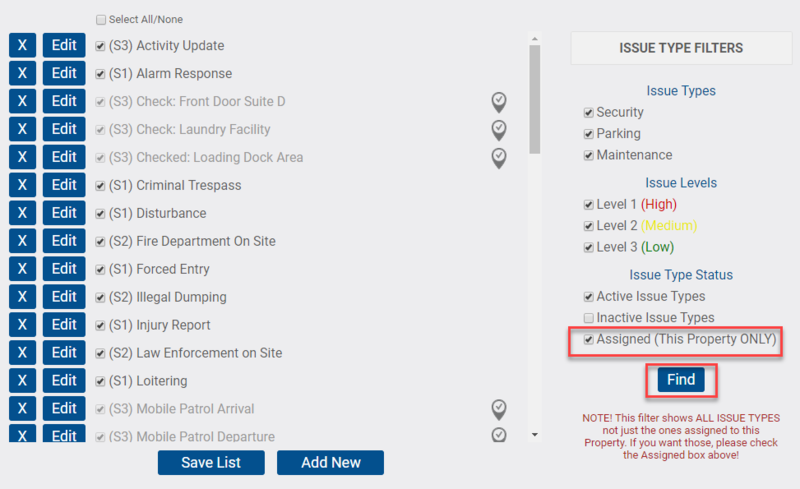 To assign existing issue types to a property, select which issue types you would like to assign under the Issue Types menu. Use the checklist to select the issue types you would like to make available. After you have selected the issues you wish to assign to this property, click the Save List button. To remove existing issue types from a property simply un-check the issue type(s) you wish to remove and click Save List. If you do not see an Issue Type that you want to add you can Add an Issue Type. 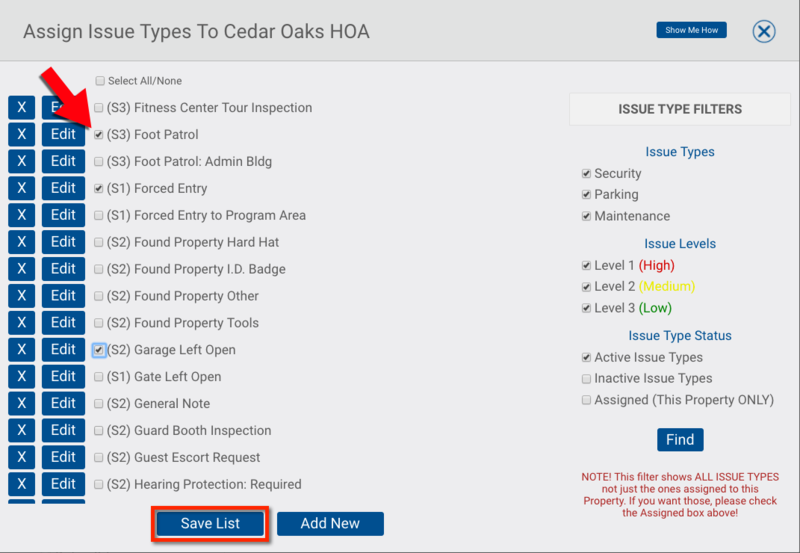 TIP: for a quick review of all issue types that are assign to a property click on the Assigned (This Property ONLY) >> blue Find button at the lower right.